Take the Jabra GO 6470 Bluetooth headset when you’re out and about talking on your mobile phone. Back at the office you can also enjoy instant, seamless connectivity with your desk and softphone. No matter which line your contacts try to reach you on, you’ll always be able to answer just by tapping the headset button. Increase your productivity and freedom with the GN 1000 Remote Hand Lifter. This device attaches to your phone and when it senses the magnetic field generated by the phone's ringer speaker, it sends a signal to your headset. 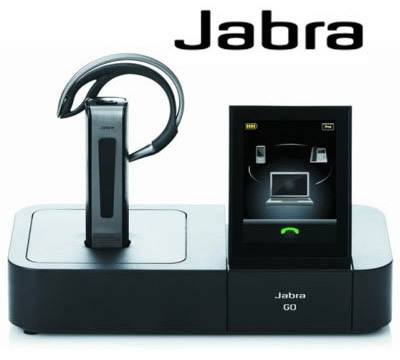 When you answer, this great accessory for theJabra GO 6470 wireless headset system lifts your phone's handset allowing you to take the call on your headset. * Note: Wireless headsets do not have the same functionality as desk phones. 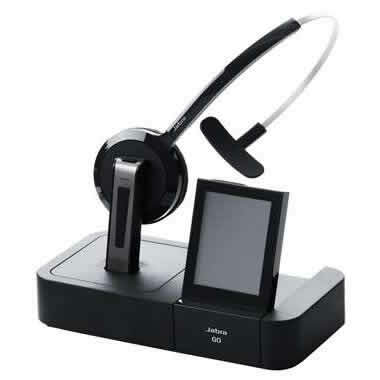 Click here for details on what you can and can't do with a wireless phone headset.